Jason Brottman is a Private Banker serving Morgan Stanley Wealth Management offices in Long Island, New York. Jason began his career in financial services in 2001. Prior to joining Morgan Stanley in 2010, Jason was a Wealth Management Banker at Merrill Lynch. He has also worked as a Personal Banker at JP Morgan Chase and as a Financial Counselor at IDebtHelp. Jason graduated from the State University of New York at Albany with a Bachelor of Arts in Economics and Sociology. He resides in Commack, New York. Outside of the office, Jason dedicates his time to community organizations, including Habitat for Humanity. He enjoys staying active through fitness, trail hikes, travel and going fishing. Paul Granite is a Private Banker serving Morgan Stanley's Wealth Management offices in New York City. Paul began his career in financial services in 2008. 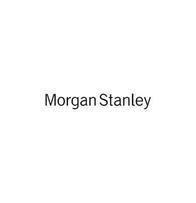 Prior to joining Morgan Stanley in 2013, Paul worked for Barclays Bank in Counterparty Risk Management. Before that, he was a Sales Manager with Direct Capital Corporation. Paul received a Bachelor of Business Administration in Finance from Towson University. He and his family reside in Long Island. When he is away from the office, Paul enjoys reading, playing golf, baseball, and spending time with his family.